Roofs can sustain considerable damage when a storm hits. Luckily, there are a few ways for homeowners like you to minimize the impact of storm damage to your roof. Here are a few storm preparation measures for homeowners from NC Rebuild, the experts in home storm damage repair services. Your roof might experience seal failure during a storm and cause leaks or other roof damage, so have your roof’s seal inspected. We are expert roofing contractors that know how to strengthen the seal of your roof to brace for the coming storms. Your trusted fiber cement siding repair provider advises eliminating possible threats to your roof like a weakened tree or overhanging branches. If left unchecked, overhanging branches can fall onto your roof and cause considerable damage. Having these problems checked could also save your neighbors from problems in the future as well. You should also anchor loose objects outside your homes like trash cans, deck furniture and other outdoor structures. Storms have strong winds that cause significant roof damage. These strong winds could potentially rip your shingles from your roof. A good way to prepare for an incoming storm is to secure loose shingles with roof adhesive. 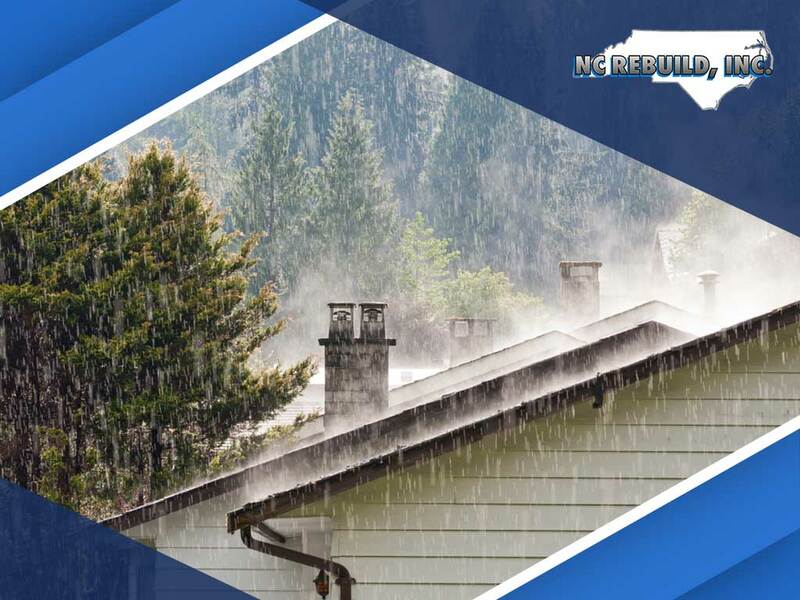 All these storm preparation tips need proper roof inspection from professionals like NC Rebuild, Inc. We can help you prepare for the worst weather conditions your roof could face. We immediately identify roofing issues and address them with quality materials and services. At NC Rebuild, Inc., we prioritize prevention to lessen emergency repairs. We also provide other quality services such as gutter installation and exterior painting service. Call us at (919) 289-5771 or fill out our contact form to get a free estimate on your roofing projects. We serve residents of Durham, NC, and other surrounding areas.